The campaign encourages people to meet the at risk breeds at Crufts in Birmingham (8-11 March), where a special Vulnerable Native British & Irish Breeds Competition is being held. 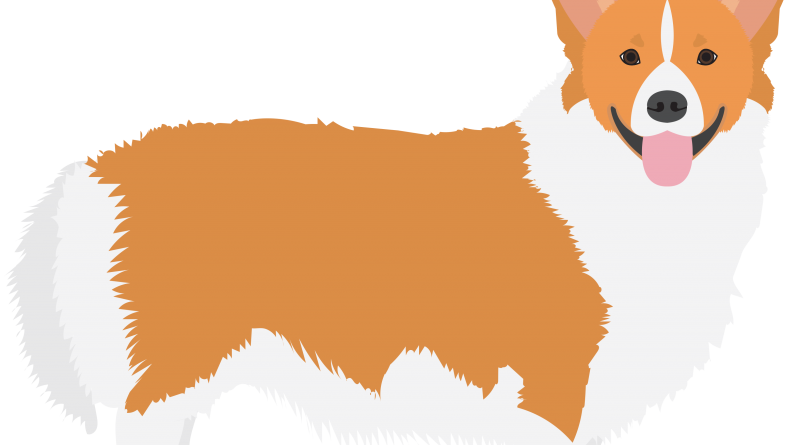 The Queen’s Corgi has come off the Kennel Club’s list of British dog breeds at risk, and bucked a trend which is seeing historic British breeds plummet to dangerously low levels of popularity, as newer and more fashionable breeds skyrocket. The popularity of Netflix television series, The Crown, which features the Pembroke Welsh Corgi, has helped with the resurgence as searches increased by 22 per cent in December 2017, when the second season aired, and registrations increased by seven per cent throughout the year, with 456 puppies registered by the Kennel Club. The breed was added to the Kennel Club’s ‘At Watch’ list of British breeds, which is for breeds that number between 300 and 450 registrations, in 2009. Those that number fewer than 300 annual registrations are on the Kennel Club’s ‘Vulnerable Native Breeds’ list. However, the breed is bucking a trend which is seeing some of our oldest British dog breeds become at risk of disappearing, as more popular and fashionable dog breeds become the obvious choice for puppy buyers. The Kennel Club’s new Save Forgotten Dog Breeds campaign aims to remind people about the 220 breeds of pedigree dog in the country, including those historic native breeds that are at risk of disappearing, as they become forgotten. The campaign encourages people to meet the at risk breeds at Crufts in Birmingham (8-11 March), where a special Vulnerable Native British and Irish Breeds Competition is being held. One historic native dog breed, the Bullmastiff, has been added to the Kennel Club’s At Watch list of breeds that could risk disappearing in the future for the first ever time in 2018, after numbering 429 registrations last year, down 73 per cent in the last decade. Many breeds, including the Old English Sheepdog, Glen of Imaal Terrier, Lakeland Terrier, Curly Coated Retriever, Irish Water Spaniel and English Toy Terrier dropped to their lowest level in 2017, since the list began. British breeds not on the At Watch list but which saw the biggest decline of all pedigree breeds in the last decade are the Yorkshire Terrier and the West Highland White Terrier, which dropped by 78 and 74 per cent respectively. The West Highland White Terrier, which has long been in the UK top 20, no longer commands a place. 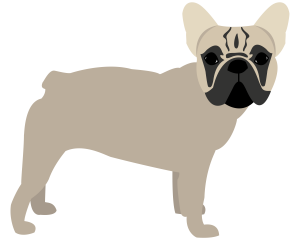 The French Bulldog, currently the UK’s second favourite dog, continues to soar in popularity and increased by a staggering 44 per cent last year, with 30,887 registrations. This means, if the current rate of increase continues, it will overtake the Labrador Retriever, which increased by only 4 per cent to 35,068 registrations in 2017, as the UK’s top dog next year. The top six breeds of dog in the UK – the Labrador Retriever, French Bulldog, Cocker Spaniel, Pug, English Springer Spaniel, Bulldog and Golden Retriever – account for more registrations between them than the remaining 214 dog breeds combined. Caroline Kisko, Kennel Club Secretary, said: “There are more than 200 pedigree dog breeds in this country and yet people are increasingly opting for the fashionable or obvious choices. Some breeds, such as the French Bulldog are experiencing phenomenal growth as a result. Whilst it can make a wonderful pet, as is true of all breeds, it isn’t suitable for everybody, and people must research its health and care needs to work out whether it’s actually right for them. “Other dog breeds, including many of the UK’s oldest, are at risk of disappearing because they’re simply being forgotten about. We have launched this awareness campaign – which will include a competition for at risk breeds and a meet and greet zone for most of the breeds in the country, at Crufts – because we need to keep the rich diversity of breeds, with all of their unique characteristics, so that people can get a dog that is truly right for them. 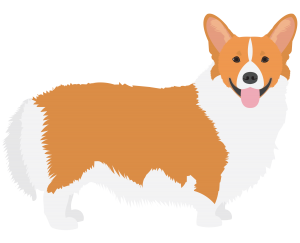 Mary Davis, Chairman of the Welsh Corgi League, said: “We are delighted to see the Pembroke Welsh Corgi has grown steadily in popularity and is no longer on the At Watch list. The breed still enjoys some profile thanks to its royal connections and has had a boost from related TV programmes such as The Crown, unlike many other breeds on the list. For more information visit www.thekennelclub.org.uk/forgottenbreeds.